My last contribution to a book was in 2012. 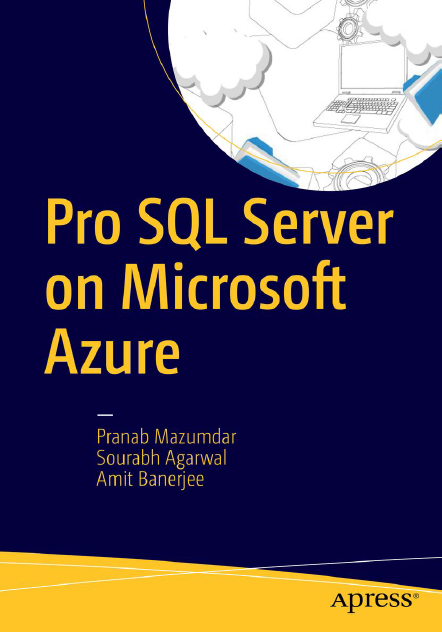 With the advent of the cloud and my continuing work with SQL Server, I jumped at the opportunity when my friends and colleagues, Pranab Mazumdar [t] and Sourabh Agarwal [t], talked to me about contributing to a book on running SQL Server on Azure. 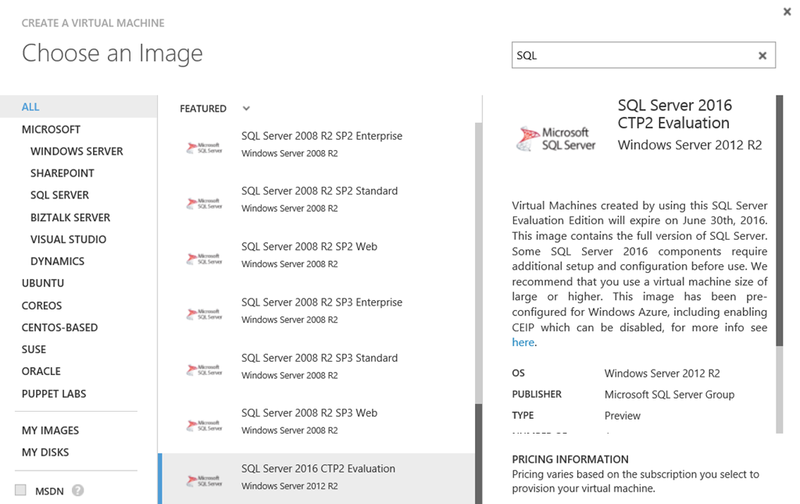 The book “Pro SQL Server on Microsoft Azure” attempts to teach the basics of Microsoft Azure and see how SQL Server on Azure VMs (Infrastructure-as-a-Service) and Azure SQL Databases (Platform-as-a-Service) work. This book will show you how to deploy, operate, and maintain your data using any one or more combinations of these offerings along with your on-premise environments. You will also find some architecture details which are very important for an end user to know in order to run operations using Azure. The book is available on Apress and Amazon. We would love to hear any feedback about the book. It could be good, bad or ugly. You will find the resources available for download on the site. After a long hiatus, I am back on the blogosphere and have decided to dedicate a series to running Best Practices checks using PowerShell on Azure virtual machines running in the new deployment model: ARM (Azure Resource Manager). If you have worked on the classic deployment model, then you will need to unlearn a few things and re-learn a little more. However, the learning curve ain’t that great. Think of Azure Resource Manager as a container for all the cloud components that make up your solution. If you had a SQL Server instance running on an Azure virtual machine, then you would be using compute, networking, storage components in Azure which would together be encapsulated in a Resource Manager group. I had previously done a series of posts around running best practices checks on Azure Virtual Machines running SQL Server. Some of those checks are still valid today as they only dealt with the SQL Server instance. You will see components of those scripts reused. Some of the checks are way easier due to the way ARM deployments are managed in Azure and the endpoints that the Azure PowerShell 1.0 exposes. The PowerShell scripts available on the GitHub repository are mentioned below. I will run a post on each of these scripts to explain what each of these do and what to expect as the output of each of these scripts. The PowerShell scripts are available on GitHub repository SqlOnAzureVM. Since these scripts are now on GitHub, please feel free to pull them and enhance them as per your needs.